Blogging Tips- 7 Tips On How To Increase Your Blog Readers And Comments. Do you have a blog with few or no readers? Are your blog posts without comments? Posting rich content regularly and not having people coming to read them can be very discouraging. The beauty of having a working blog is expressed in its ability to draw active readers and comments. Now, you can smile because below are simple but effective blogging tips on how to increase your blog readers and comments. Find someone who believes in you and would want to support you in your blogging. This can be a friend or a relative. Comments from this person will draw visitors to read your post and will encourage them to also leave comments. When I started, I got my sister to read and leave comments on my blog posts. You are not the only one in need of more blog readers and comments. Search for these bloggers and connect with them. Offer to exchange favours, that if they would subscribe to your blog and leave comments on each posts, you would do likewise on their blogs. Comments leave good impression about your blog on any of your blog visitors and they will pause to read through the post. 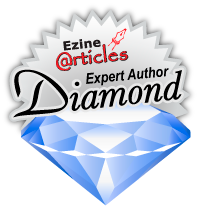 Some will subscribe for updates afterwards; this will increase your blog readers. Leave quality comments on other bloggers’ posts, especially larger blogs. This is one of the ways to market your blog. Some readers of these blogs will read your comment and visit your blog to read your blog posts. Some will leave comments. You should follow up anyone that leaves a comment on your post. Email a thank you message to him. And if he has a blog, visit it and leave a comment too on his blog post. As you do this, you will build a relationship that will benefit you and your blog. The person will always come back to return the favour. Now, there are many bloggers out there with the same desire – more readers, more comments,so you need to improve on your bog ranking. If you have a higher PageRank, then you will be seen as an authority and get priority over other sites. And that means more readers and comments for your blog! If you are tired of being the only one reading your blog posts or you want to increase your readers, then I encourage you to act on these blogging tips given. These will work for any type of niche. So start today. How else can you increase your blog readers and comments? P.S If you enjoyed this post, do enter your email address (TOP RIGHT COLUMN) to receive my free post updates via e-mail, leave a comment below and share this with your friends and followers. P.S Make Sure You Click Here To Get Access To Your Free Training! This entry was posted on October 19, 2010 at 11:58 am. You can follow any responses to this entry through the RSS 2.0 feed. You can leave a response, or trackback from your own site. 2 Responses to "Blogging Tips- 7 Tips On How To Increase Your Blog Readers And Comments." This has been encouraging especially for new bloggers like me. It may take a while but you will get there.